Poached eggs are a treat but the process of cooking them can be messy and difficult. In order to alleviate the egg poaching process Royal Industries provides its aluminum egg poacher (ROY 209). 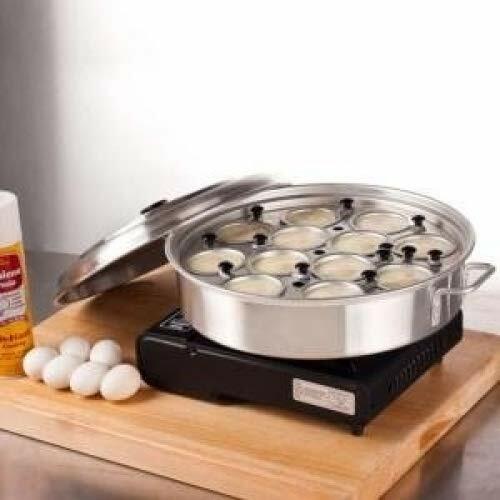 This aluminum egg poacher makes poaching eggs a breeze as it provides compartments for each individual egg to sit in as they are heated by the simmering water held within the pan. This prevents the yolk from breaking or the egg from separating allowing for perfect poached eggs every time.